I have an odd relationship with Spain. 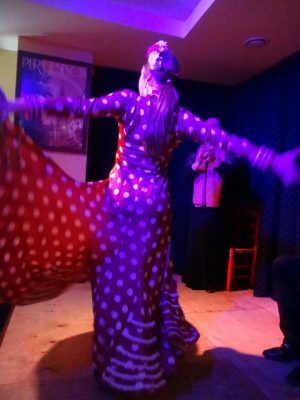 I knew very little about Spain and yet, curiously, it is an intimate part of my family, and therefore, of me. This is how it began for me. 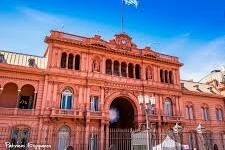 My grandfather was a wool-broker from Manchester who traded in Buenos Aires, Argentina, close to the Casa Rosada of Eva Peron fame. My father spent his childhood there. Dad told me he remembered little of it. He spoke no Spanish. 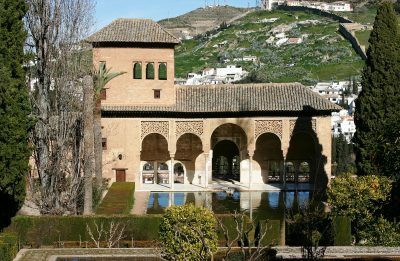 It was therefore a shock on a visit to the Alhambra, to encounter the ghost of my father in the form of a Hidalgo, a Spanish gentleman. Dad’s upbringing had somehow imprinted Spain into him. I watched as this old stranger breathed out the exact sound of relaxation that Dad always made, smiled distantly as Dad used to, then arranged himself, straight-backed, and straight-legged in a chair, with his fox terrier at his knee and his stick neatly by his side. I saw my dad’s obsession with orderly rows of tall cyprus trees and dark impenetrable hedges. I recognised the Spanish in my father as I feel the African exists in me. I felt this encounter in my heart as pain and joy – as duende – that untranslatable word that can only be experienced and not explained. At school in the ’50s we learnt about Francis Drake, the Armada and the Inquisition. The Spain of princes and priests and heretics burnt at the stake that succumbed to British victories in battle. I went to Ibiza in 1969 just as the first British tourists appeared and the first hippies invaded its abandoned farmhouses. Water wasn’t drinkable, there were no English breakfasts, and wine and brandy was served in unlabelled bottles in local bars. Franco still had absolute power. He had banned the flamenco. Dictators may cause suffering but will never allow the expression of it in any form. Art, after all, is a way of resisting oppression. 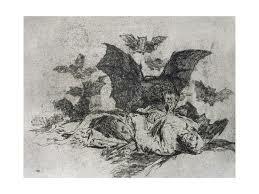 Think of Goya. Think of Picasso. I’ve travelled more in Spain since then and the more I do, the more I am humbled by my lack of knowledge and the more I love learning about it. 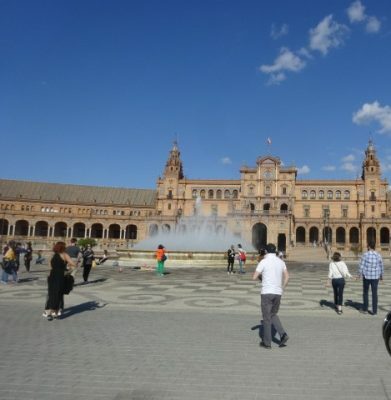 I’m not a travel writer or a literary critic but I keep finding new and richer connections between Spain and myself and between Spain and Britain. For me personally, there are the connections to both the Sephardic Jewish and the Almoravid Muslim cultures which are both important to me. Then, of course, there is art, novels, and poetry. All worthwhile art must be possessed of Duende. Yasmin Levy‘s wonderful Sephardic Ladino singing manifests all those connections. 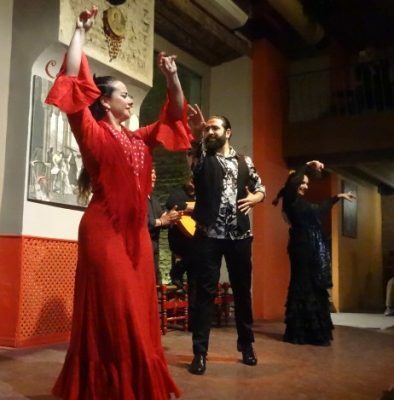 I have always loved flamenco from my first introduction to it in ballet classes at the Eisteddfod in Rhodesia to watching it performed last week in the Casa de la Memoria in Seville and in the Tablao (a small bar) Pura Escencia where Natalia Blanco danced for us. 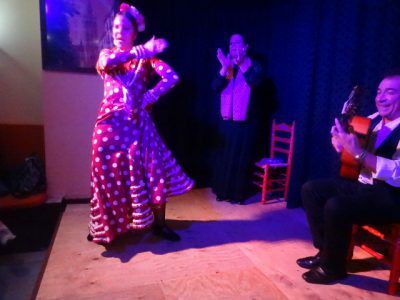 Perhaps flamenco gives form most completely to duende which is the authentic passion that all artists seek. 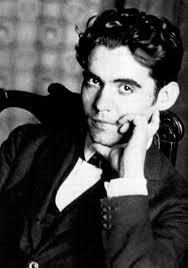 Frederico Garcia Lorca also wrote about duende but it may be most clearly understood by reading his poetry. Oh secret voice and song of a dark love! Oh lowing without lambs! Oh hidden wound! Oh needle of bile, cankered camellia! Oh storm without a sea, town without walls! on mountains of mourning, proud peaks of grief! song ripening in silence without end! where flesh and sky mate without bearing fruit. I who am love, I who am nature’s child! We made our first trip to Spain last year (2018), Andalusia to be exact. 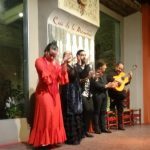 My husband and I had never had any calling to visit Spain but since my nephew was getting married there we thought, why not? We made a 10 day road trip and loved every moment and every inch of it. 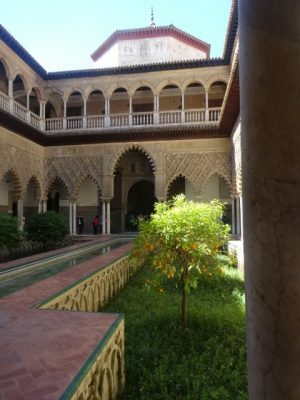 We visited Malaga, Granada, the Alhambra, Cordoba, Jaen, Seville and loads of other places in between. The people were friendly, the food and drink were amazing and since we were there in July it was very hot! Oh gosh, Jeannette – I’ve visited all those places too and loved them and want to go back again. At least in the summer, there may have been fewer tourists because of the heat! I guess that’s why the Spanish have such long siestas and eat supper so late!